Masked revellers participate in the traditional Buso Carnival in Mohacs, 200 km (124 miles) south of Budapest, on Feb 21 for the Buso Carnival, which lasts for six days, locals celebrate the end of winter and party before the start of Lent. According to legend, the masks helped locals scare away the Turks in the 16th century. A masked Busho man jokes with tourists while marching through the town of Mohacs in southern Hungary during the annual Busho Carnival, on Feb. 21. 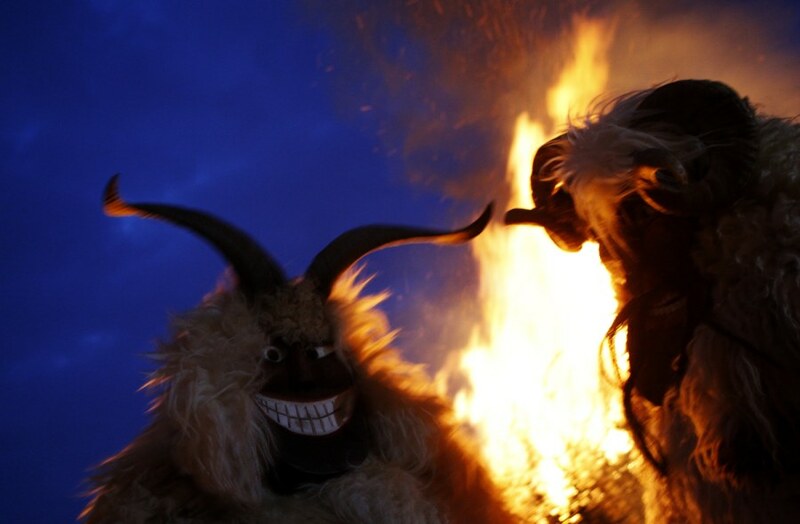 This end of winter carnival tradition dates back to the 16th century to Hungary's Ottoman occupation when men of the Sokac ethnic group (related to the Croatians) of Mohacs dressed up in sheep fur and wooden masks in a bid to frighten off their Turkish invaders. 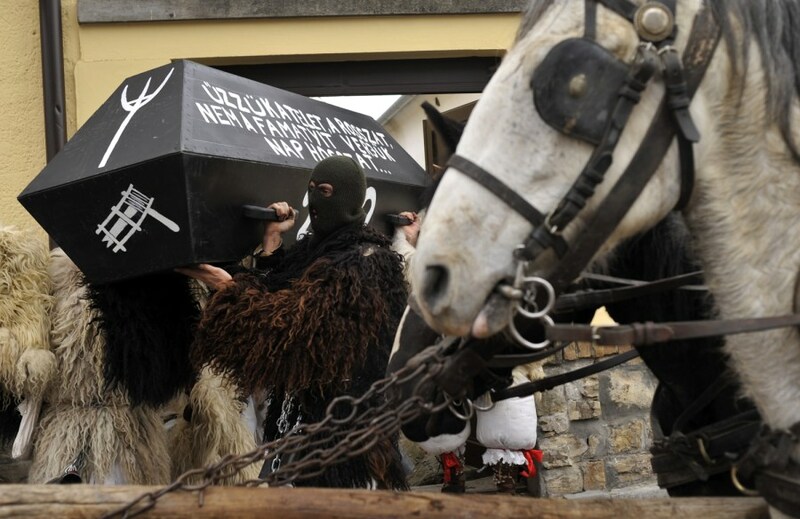 Masked Busho men carry a coffin, symbolizing the end of winter, before marching through the town of Mohacs in southern Hungary during the annual Busho Carnival, on Feb. 21. 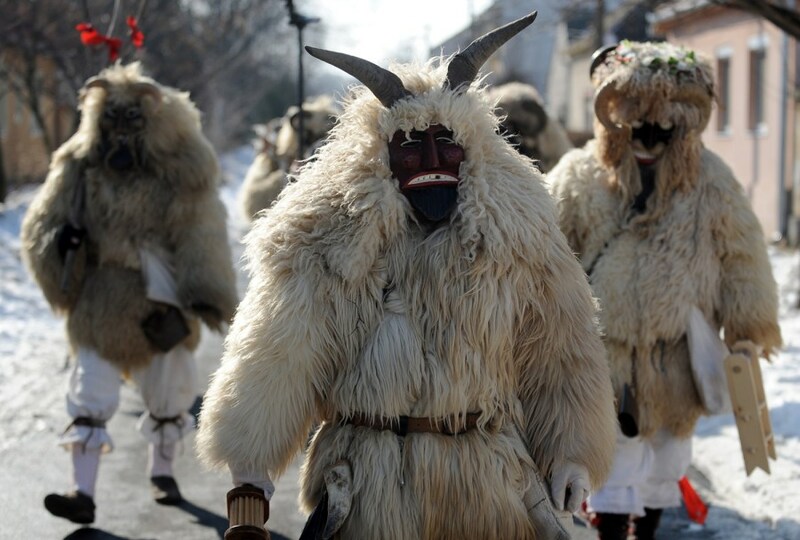 This end of winter carnival tradition dates back to the 16th century to Hungary's Ottoman occupation when men of the Sokac ethnic group (related to the Croatians) of Mohacs dressed up in sheep fur and wooden masks in a bid to frighten off their Turkish invaders. A member of Mohacs Busok (Mask-people from Mohacs town) steps out from their local base on Feb.21 prior to their carnival masquerade. The Busojaras (Hungarian, meaning 'Buso-walking') is an annual celebration of the Sokci (Croatians) living in the town of Mohacs, held at the end of the Carnival season and ending the day before Ash Wednesday. The celebration features Busos and includes folk music, masquerading, parades and dancing. Busojaras lasts six days, usually during February. From Rio de Janeiro to Venice, revelers took to the streets in colorful costumes.